The start of this year’s awards season is one of the more exciting in recent memory. Red carpet glam aside, we get to watch Lady Gaga embrace her new movie star status, thanks to a dramatic turn in A Star is Born. There’s also another well-reviewed performance from Emma Stone (The Favourite) and the boundary breaking work of Constance Wu and the entire Crazy Rich Asians cast. But of course, we’re just as excited to see what these performers wear to celebrate their nominated projects at the 2019 Golden Globes. 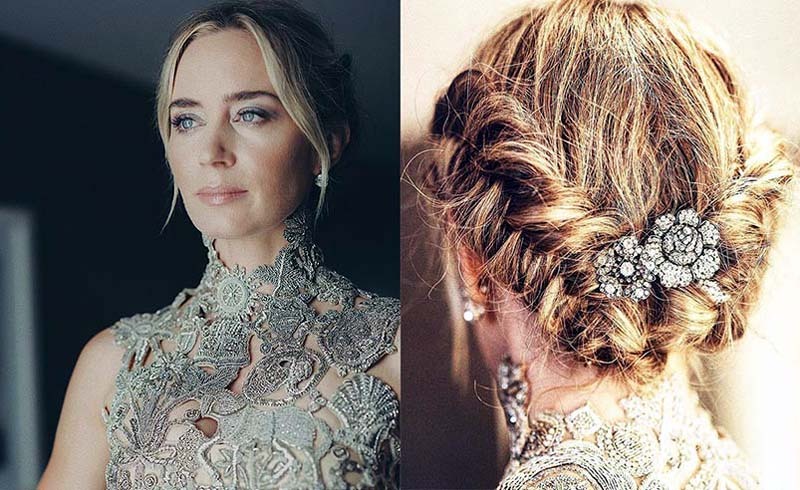 And beyond the gowns, suits and ensembles that inspire hilarious memes and Twitter threads, we’re also keeping our eye on hair and makeup moments. After all, should we want to replicate anything, these are the easiest parts of a celebrity look to attempt. This year’s group does not disappoint with a mix of looks that cover the gamut of A-list glam; from jade shadow to periwinkle blue hair.